Simple yet effective, a custom lottery scratcher keychain is a great way to get your brands in the hands of your customers. They can be considered a fantastic custom promotional guveaway as it triggers interest in your brand through its colour, design and fucntionality. Features a bead chain to entangle your keys, users can carry it always in pockets or over belt loops. Like a mini window scraper, the plastic blade rubs off the layer of covering on scratch-off tickets so users can see if they’ve won. It can also be used for SIM cards or any other strong card. This handy custom lottery scratcher is a perfect customer giveaway for casinos, gas stations, and convention booths with gift coupons or other scratching cards for boosting sales. 2-in-1 Function: It functions as both a lottery scratcher and a keychain. The lottery scratcher function eliminates the need to dig for coins to enjoy your ticket scrapping experience. When not in used for ticket scrapping, it works just like any typical keychain to hold your keys in place. This enhances the utility of a promo gift – a highly appreciated feature for customers. Convenient: Keychain is a portable item, hence making them convenient to carry it around. This also means high usage of your logo-printed lottery scratcher keychain by customers thereby boosting brand visibility for your company. Customisation: From imprinting your logo design or brand messages to choosing your own colour theme, there are many ways you can personalise this to shout out your brand name. It will remind your customers of your brand whenever they use it. Economical: The custom lottery scratcher keychains are budget-friendly promotional items. This means that they won’t require huge marketing budget to manufacture. Brands could reproduce a lot of these items to augment marketing campaigns at a very low cost. Overall, a custom lottery scratcher adds a fun twist to the otherwise plain and ordinary keychain! All while being cost-efficient. Think that this understated yet handy custom lottery scratcher keychain can help your promo giveaways stand out from the crowd? Feel free to send us an inquiry for product code 2401 today. If plastic is not your preferred material, fret not. As the name suggest, you can custom not only the colour and logo, but also the material as well! Be it wood, metal, or others, you name it and we will deliver it. We have vast experience in the industry and worked closely with factories in China and recently, Vietnam – so we can assure you quality in your desired requirements. 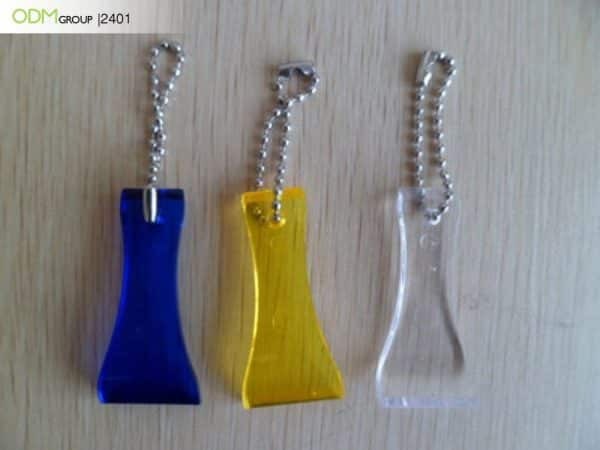 For all industries and age groups, the virtual bubble wrap keychain is an interesting option! For coffee lovers, this coffee-designed keychains would surely steal their hearts. For higher-end keychain idea, consider the LED torch keychain. 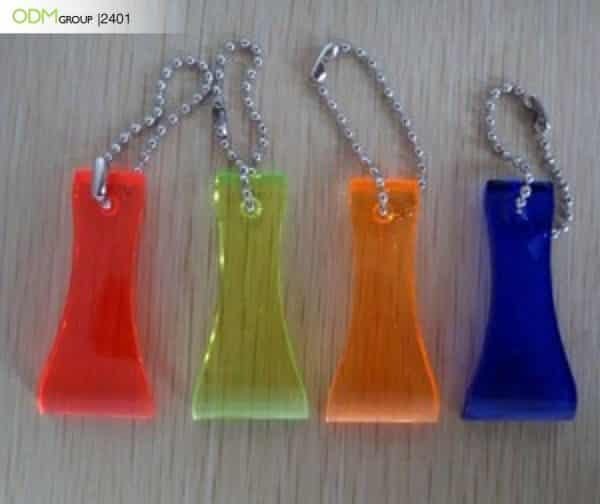 Thinking of how to offer your promotional keychain? Check out the case study of CocoMax, a highly popular coconut drink brand!